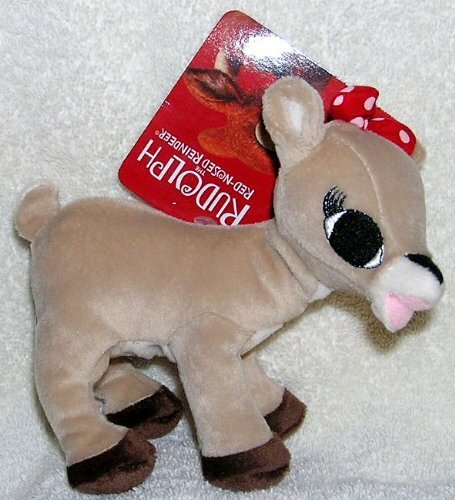 Over the last few years, the popularity of Clarice stuffed reindeer toys have really grown. Part of this reason is because the Rudolph and the Island of Misfit Toys made such a hit among the recent generation of kids. But if you are like me and make it a point to at least catch part of the classic Reindeer special whenever it comes on TV every year, you will recognize her character as the loving, accepting, doe who thinks Rudolph is cute. 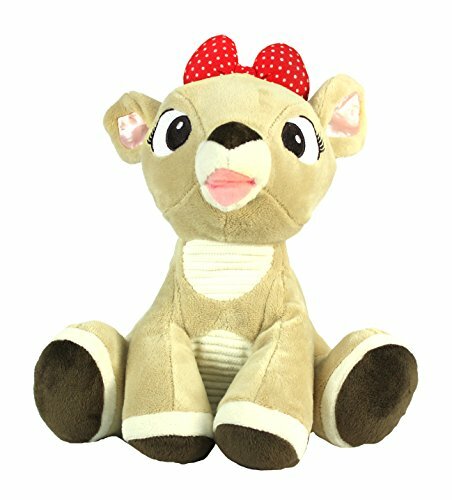 A number of my friends have toddlers who I think would love one of these Clarice plush toys as a gift to hang onto while watching any number of the Rudolph shows that come on in December. Not to mention they could be fun to have sitting around the tree or on the corner of the couch to help with the holiday spirit. One of these would also make a great companion to any of the Rudolph the Red Nosed Reindeer plush toys that are available. Find more Clarice friends here! 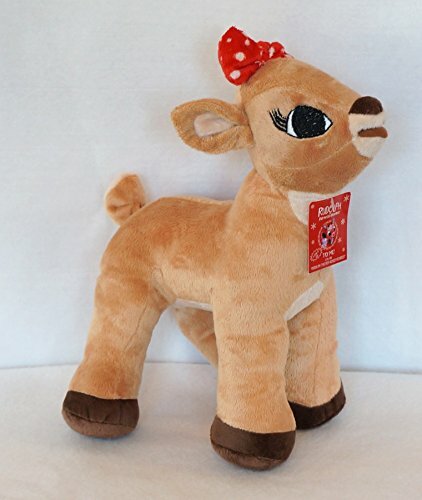 The first of the Clarice stuffed reindeer toys is absolutely adorable as far as I am concerned. 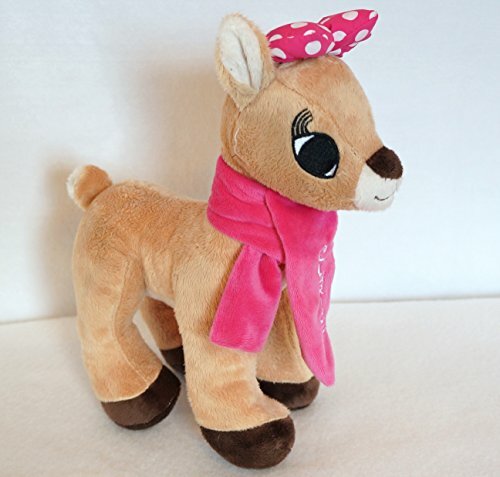 She has her identifiable pink polka dotted bow on top of her head along with a matching winter scarf to keep her warm while she is with friends. It is a good size of about a foot tall which is perfect for arms to wrap around. She is not super fancy but stuffed animals are often loved for their simplicity. I also think this one looks the most realistic, well at least as realistic as a cartoon figure can look. The last one on display is a little bit bigger and has a red bow instead of pink. While she doesn’t have any extra accessories, this one is a singing Clarice Reindeer toy which can really make the different between just liking it and falling in love with her. The one downside I feel is that she sings Rudolph the Reindeer Nosed Reindeer instead of the song she is known for singing in the original Christmas special in the 60s. On the other hand, if you think you could not handle listening to yet another toy that makes noise until the batteries die, I would definitely consider the first one because it is very similar in dimensions and appearance. The Clarices in the middle are smaller plushes, making them ideal for your little girl or baby. With a soft body and big smile, you can’t go wrong with one of these. I think they would make great Christmas gifts for anyone with kids who are familiar with the story and even as a way to make the first intro. Not to mention stuffed animals often have very long shelf lives which makes them a perfect movie companion each year.